How much does environment influence intelligence? Several years ago University of Virginia Professor Eric Turkheimer demonstrated that growing up in an impoverished and chaotic household suppresses I.Q. – without nurture, innate advantages vanish. What about genes? They matter too. After decades of research most psychologists agree that somewhere between 50% and 80% of intelligence is genetic. After all, numerous studies demonstrate that identical twins raised apart have remarkably similar I.Q.’s. A 2008 paper out of the University of Michigan turned all of this on its head. The researchers led by Susanne M. Jaeggi and Martin Buschkuehl, now at the University of Maryland, found that participants who engaged in short sessions of “cognitive training” that targeted working memory with a simple but difficult game known as the n-back task boosted a core feature of general intelligence called fluid intelligence. Crystalized intelligence improves with age and experience. Fluid intelligence, in contrast, is the capacity to make insights, solve new problems and perceive new patterns to new situations independent of previous knowledge. For decades, researchers believed that fluid intelligence was immutable during adulthood because it was largely determined by genetics. The implication of the 2008 study suggested otherwise: with some cognitive training people could improve fluid intelligence and, therefore, become smarter. This brings me to a brand new paper recently published in the journal Neuroscience by DRDC Toronto researcher and Adjunct Assistant Professor of Psychology at the University of Toronto-Scarborough, Oshin Vartanian. In the study, Vartanian and his team asked if working memory training improved performance on a test of divergent thinking known as the Alternate Uses Task. Psychological research demonstrates that divergent thinking “loads” on working memory, meaning that when people engage a divergent thinking task their working memory capacity is accessed accordingly. If cognitive training strengthens working memory then participants should improve their performance on divergent thinking tasks. The researchers also wondered how working memory training affected participants at the neurological level. That is, will participation in a short regiment of working memory training be correlated with greater “neural efficiency” during the Alternate Uses Task? Given that divergent thinking is linked to creativity, it also sheds light on the effect of working memory training for boosting creativity. To answer these questions, Vartanian and his team gathered 34 participants and assigned each of them to either an experimental or control group. In the first part of the study the researchers measured fluid intelligence using Raven’s Advanced Progressive Matrices (RAPM), a hallmark of standardized tests since the 1930s. They are visual analogy problems, consisting of two patterns with three shapes and a third pattern with two shapes. The task is to select the missing shape to complete the third triad from a set of alternatives in order match the overall pattern. Participants completed as many RAPM problems in ten minutes as possible, immediately prior to and following cognitive training so the researchers could calculate a possible gain in fluid intelligence. For the cognitive training portion of the study participants took part in three training sessions on separate days. Participants in the experimental condition completed the n-back task. Here’s how it works. On a monitor a participant sees a series of letters flash in the same location every two and a half seconds. Their task is to indicate if the letter is repeated. The first level is easy because participants must press the space bar every time they see a letter repeated on two consecutive trials (e.g., K followed by K). The second level gets harder – participants must press the space bar every time they see a letter that matches a letter presented two trials earlier. This gets even harder at level three, where they have to make matching decisions compared to three trials earlier. Meanwhile, participants in the control condition completed a 4-choice reaction time task that controlled for task engagement. Following the RAPM and cognitive training, each participant laid in an fMRI scanner and completed the Alternate Uses Task, where they generated novel uses for common objects. For example, imagine a researcher asks you to generate a list of uses for a brick. You could use a brick to build a house but a more creative solution might be to use a brick to prop open a door. The purpose of the Alternate Uses Task is to test divergent thinking, an important component of creativity. In Vartanian’s study the participants had 12 seconds to generate uses of a common object, and three seconds to enter their responses using an MRI-compatible keypad. They repeated this task for 20 trials. Vartanian and his fellow researchers found that the results mostly confirmed the original hypotheses. First, the experimental group improved their RAPM scores compared to the control group, confirming previous research that cognitive training can boost fluid intelligence. However, they did not discover a difference between the two groups with respect to the number of uses generated in the Alternate Uses Task. In other words, participants who completed the n-back tasks did not score higher on divergent thinking, suggesting that training working memory does not boost divergent thinking. The most provocative findings were at the neurological level. 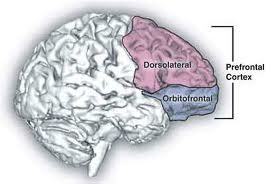 Namely, activation in the ventrolateral and dorsolateral prefrontal cortex, areas of the brain associated with divergent thinking, was much lower during the generation phase of the Alternative Uses Task in the experimental group. This means that even though working memory training and subsequent gains in fluid intelligence did not transfer to better performance on the Alternate Uses Task, participants who engaged in the cognitive training were neurally more efficient during divergent thinking. In other words, just like a long-distance runner uses his lungs and muscle’s more efficiently, participants who practiced the n-back task used less neural resources in the divergent thinking task compared to participants in a control condition. It’s still unclear if gains from working memory training “transfer” to other tasks. 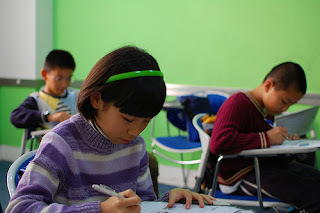 Researchers know that training working memory improves working memory capacity. The question is if working memory training improves cognitive performance across the board just like working out improves your fitness in general. Vartanian says reliable evidence for this transfer effect is the “holy grail everyone is after” even though, he clarified, not every lab has found that the n-back task leads to an increase in fluid intelligence. All of this brings up the question: What is intelligence anyway? I stated at the outset that intelligence has a genetic component but environment plays a vital role as well. It’s more complicated than that, of course. Consider the Flynn Effect. It demonstrates that I.Q. scores have been rising in many parts of the world since 1930. Are people getting smarter or are they just getting better at taking I.Q. tests? The idea that I.Q. is the measurement for intelligence is waning. Yes, I.Q. correlates with success later on in life, but it’s unclear what, exactly, it measures. Compounding these queries is the question of multiple intelligences. Researchers like Harvard’s Howard Gardner believe that intelligence isn’t a single thing like a black box in the mind, but a series of distinct mental capacities. This makes sense to me – I can write articles on cognitive science but a calculus problem makes me shiver – but the evidence for this line of reasoning is spotty. Another contentious area of study concerns the relationship between divergent thinking and creativity. Psychologists have historically equated divergent thinking with creativity because divergent thinking is about generating multiple solutions to a single problem, free-flow thinking, and originality. This is true, but like intelligence this paradigm doesn’t address what creativity is in the first place. Today more and more researchers believe that performance on divergent thinking tasks is merely one piece of the creativity pie. This is why a number of creativity researchers are advocating for a broader definition of creativity as well as a shift away from the idea that creative “types” exist, a false suggestion that people are either creative or not. One of those researchers is Scott Barry Kaufman, NYU Adjunct Professor of Psychology and author of the forthcoming Ungifted: Intelligence Redefined. “Path-breaking creativity requires many years of acquiring a deep knowledge base from which you can draw to make novel connections,” Kaufman explained to me. “Since divergent thinking tests rely so heavily on working memory and fluid reasoning, they don’t allow people to bring their rich database of life experiences to the task. Psychologists are missing out on a large chunk of their creative potential because creativity can be manifested in many ways. Intelligence and creativity are thorny components of our psychologies. Studying them is difficult, defining them even harder. But the overall trend in cognitive science is positive. Researchers like Vartanian and Kaufman are broadening our conception of intelligence and creativity with innovative research and fresh ideas. The future of education will depend not just on policy but what we know about how the brain learns, makes insights and solves problems. “Ideally, in educational and other settings we would have the ability to train individuals on a few core abilities and then observe performance benefits in many target activities” said Vartanian. 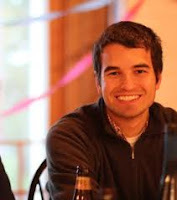 Sam McNerney graduated from Hamilton College, where he earned a bachelor's in Philosophy. After reading Descartes and Nietzsche, he realized that his true passion is reading and writing about cognitive science. Now, he is working as a science journalist writing about philosophy, psychology, and neuroscience. He has a column at CreativityPost.com, and a blog at BigThink.com called "Moments of Genius". Follow him on Twitter @SamMcNerney.